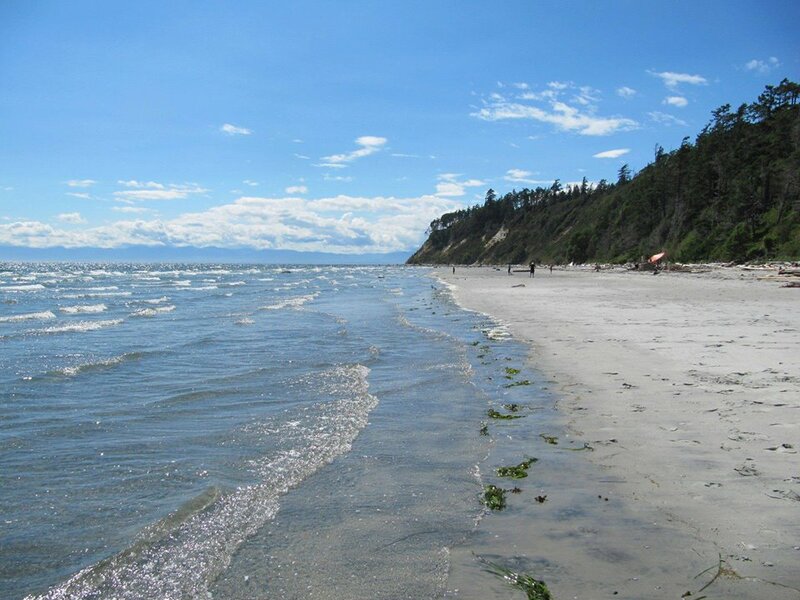 Previously on the blog, we gave you a trip inspiration list of 7 unique places to hang your hat on the Sunshine Coast. Private island yurts & eco cabanas, geodesic domes and glamping – what more could any traveller hope for? 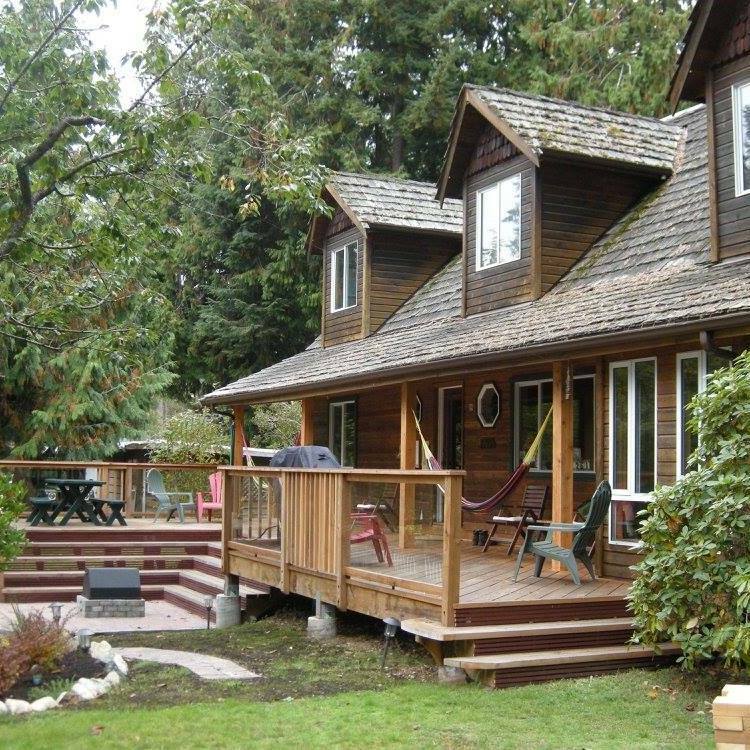 But the Sunshine Coast has so many unique accommodations, we simply had to do a ‘Part Two’, and this time, we added on one more. 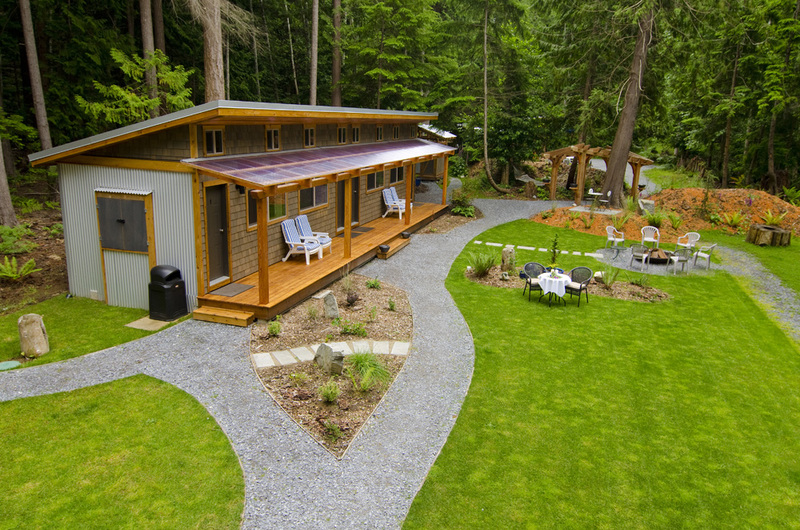 So here you go, 8 unique places to stay and discover the Sunshine Coast, BC. 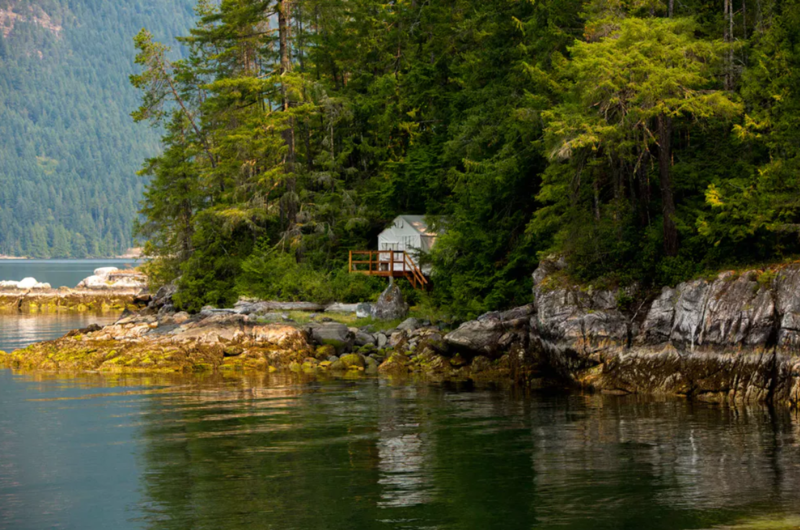 Hang your hat in the heart of paradise at Homfray Lodge in Desolation Sound. Leave your worries in the Lund Harbour as you embark on the 1.5 hour boat trip to the Lodge – you will really begin to feel yourself settle in to the pace of the environment. Not only will the scenery stun you every time you turn your head, the surrounding wilderness and relaxed atmosphere will leave you with no choice but to unwind and let your stress slip away. 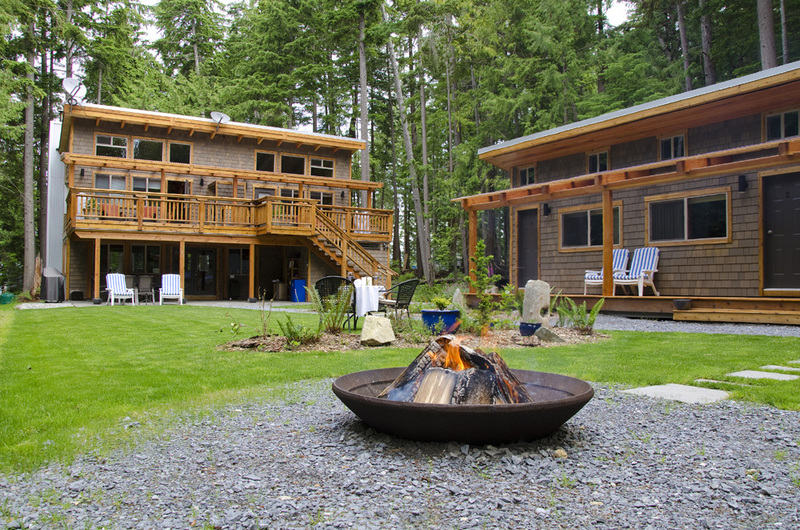 It is truly the perfect wilderness getaway. And if you’re feeling extra adventurous, check out one of their 2-4 night grizzly bear viewing tours! 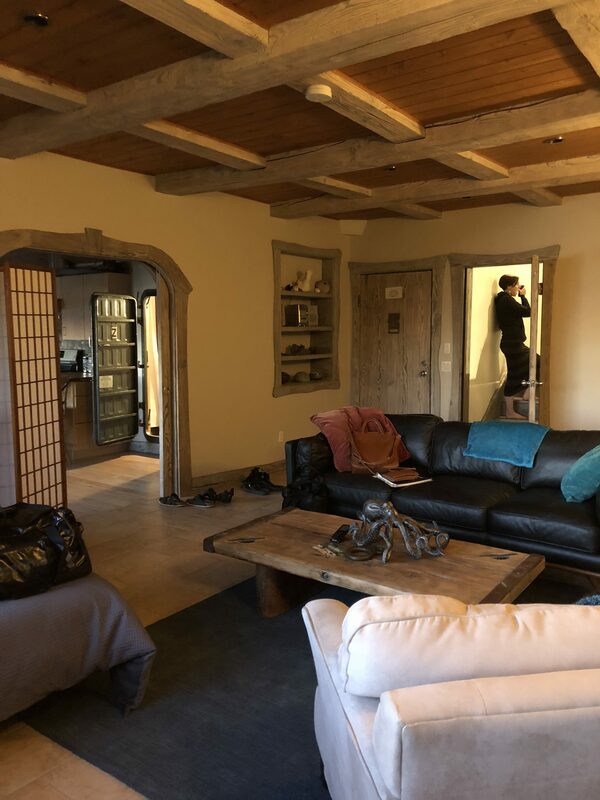 Whether you are in search of a romantic getaway, family vacation, or just hoping to rediscover your connection with nature, Wilderness Resort and Retreat is the perfect spot. Getting here is something of a choose-your-own-adventure deal, as you can pick from self-propelled transport (ie. kayak/canoe/SUP), water taxi, and even float plane. Regardless of how you choose you get there, once you arrive you may never want to leave. 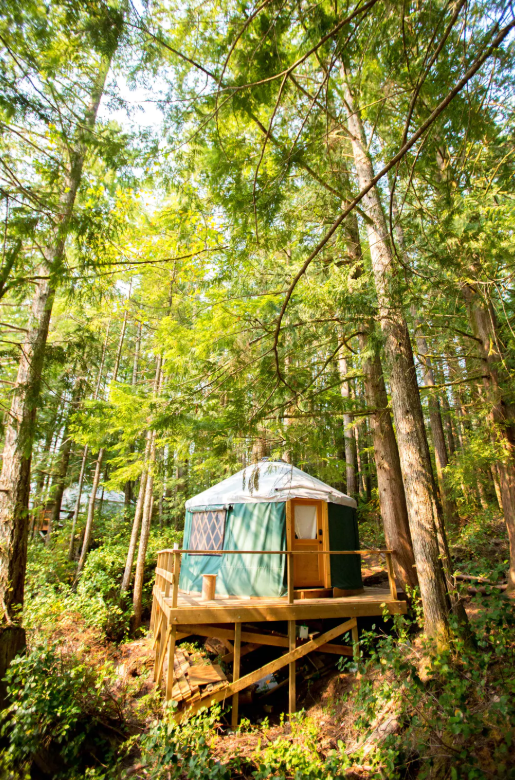 Their wilderness tents, cabins, and oceanview yurts make for a comfortably rustic camp/glamp experience, and Chef Alex Barton’s “Best of the West” meal plan includes the finest locally sourced ingredients. 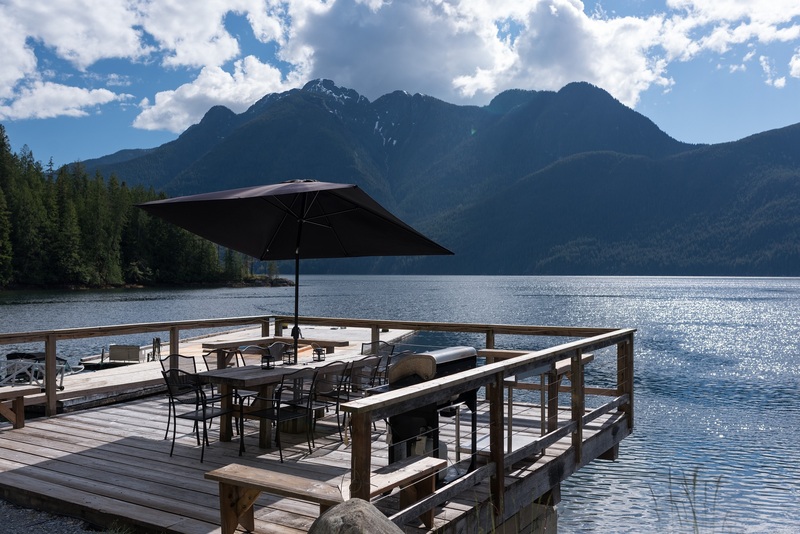 From the food to fishing – and let’s not forget the wood-fired hot tubs – this place is the epitome of Sunshine Coast vibes. 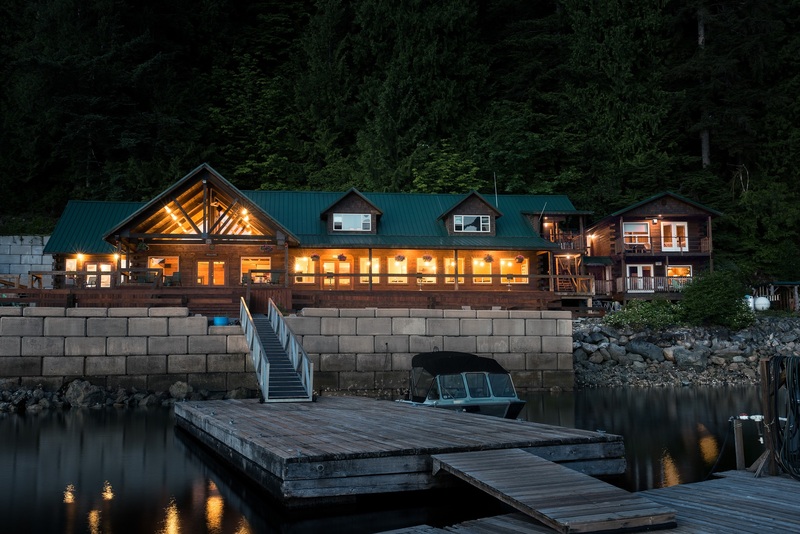 A long-time favourite of the Sunshine Coast for it’s stunning setting and plethora of amenities, West Coast Wilderness Lodge is the one-stop-shop for everything luxury and adventure. 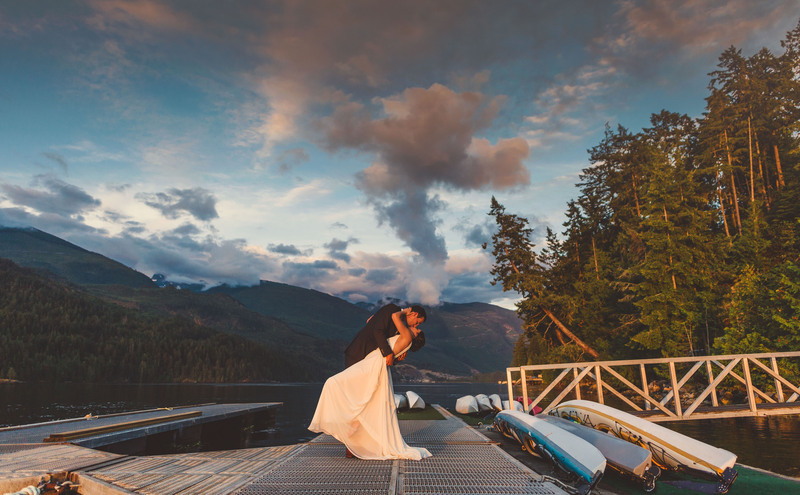 Located at the mouth of Jervis and Sechelt Inlets, and frequently chosen as an idyllic locale to say “I do”, they offer a variety of packages so you might customize your adventure to suit whatever you desire. 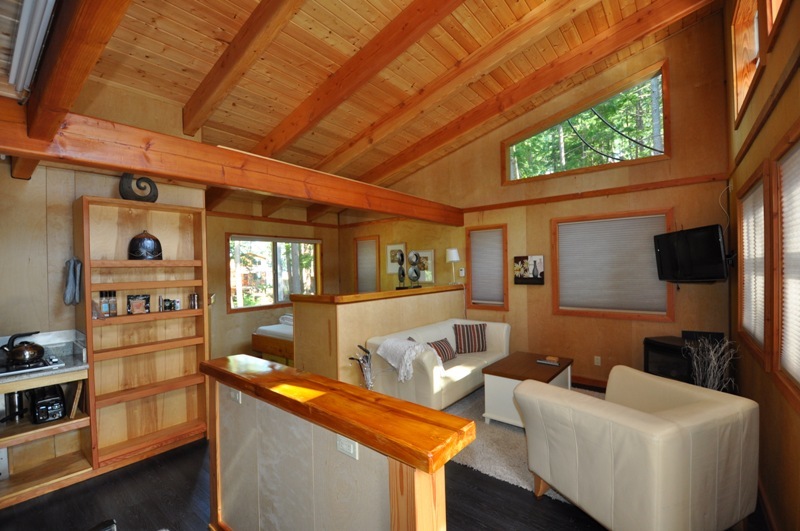 Take a boat tour to the Skookumchuck Narrows, go heli-hiking in the alpine, or relax with a massage at the Eco Spa. And don’t forget to follow your adventure of choice with a meal (or two) at Inlets Restaurant! Regardless of what it is, chances you are you will find what you are looking for here. Feel like hanging your hat in the Sheriff’s Office? How about kicking your shoes off in the Judge’s Chambers? The Old Courthouse Inn in Powell River’s Historic Townsite District is quite literally just that – the old courthouse! 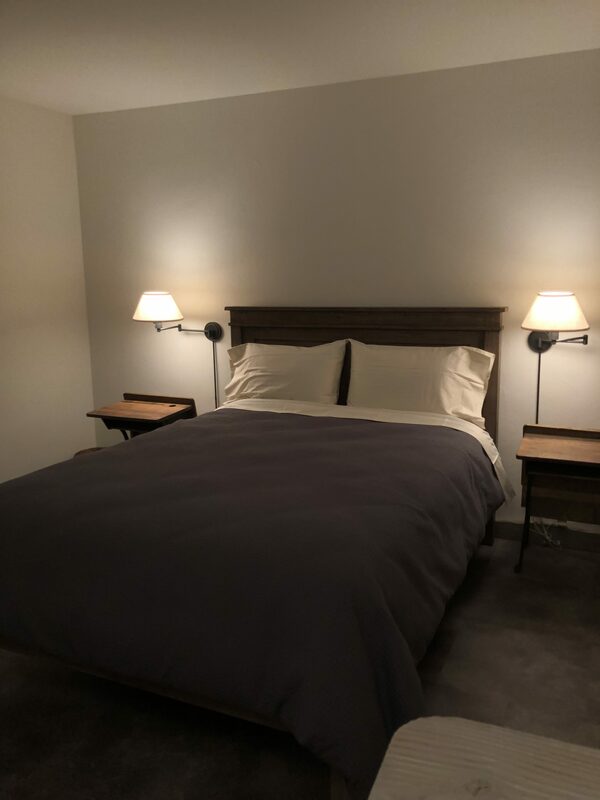 Converted into an Inn where you can now enjoy a hot breakfast at Edie Rae’s Cafe, full day spa services, and a short walk to a cold beer at Townsite Brewing. Decorating the interior is an eclectic mix of antiques and collectibles to remind guests of the Inn’s heritage. 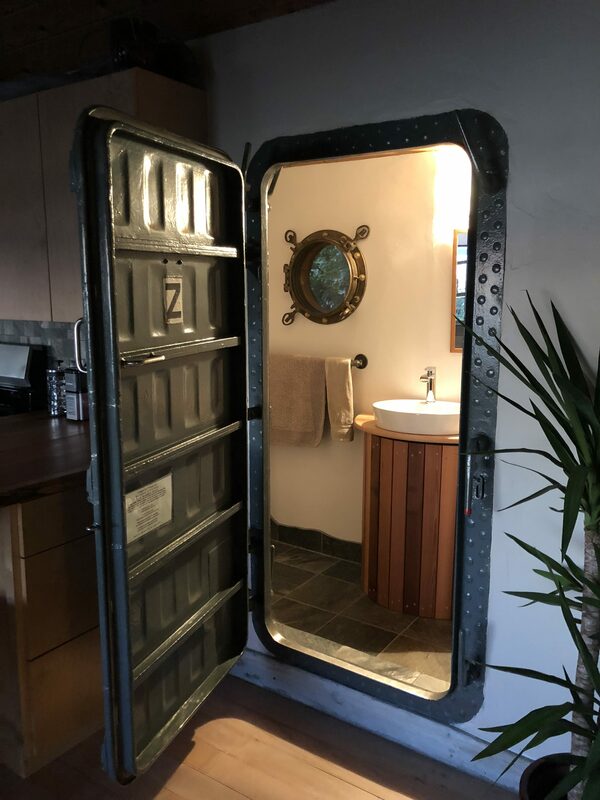 If you are looking for a truly unique experience in accommodation, this is the place for you. 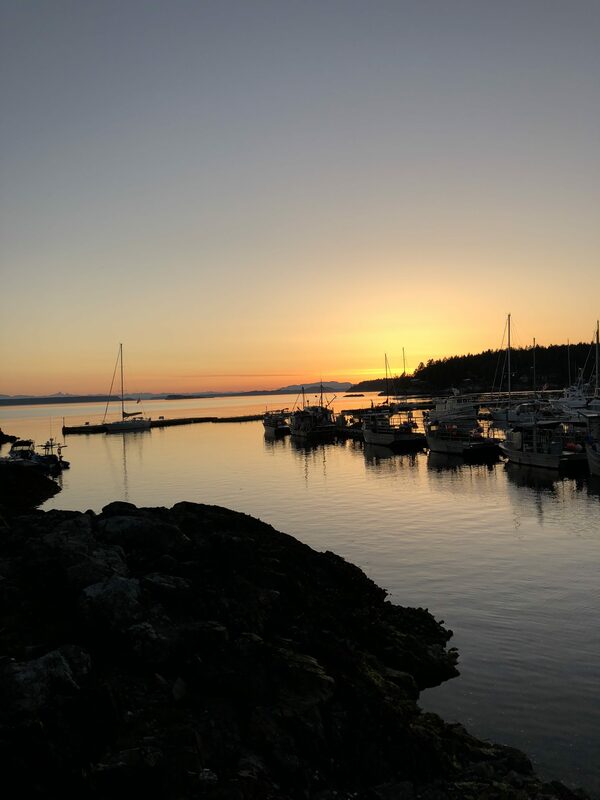 The northern Sunshine Coast is pretty well-known for hosting some of the most spectacular sunsets in the world, but there are a few things that make it even sweeter…like being able to watch it from your own private deck right in the Lund Harbour. 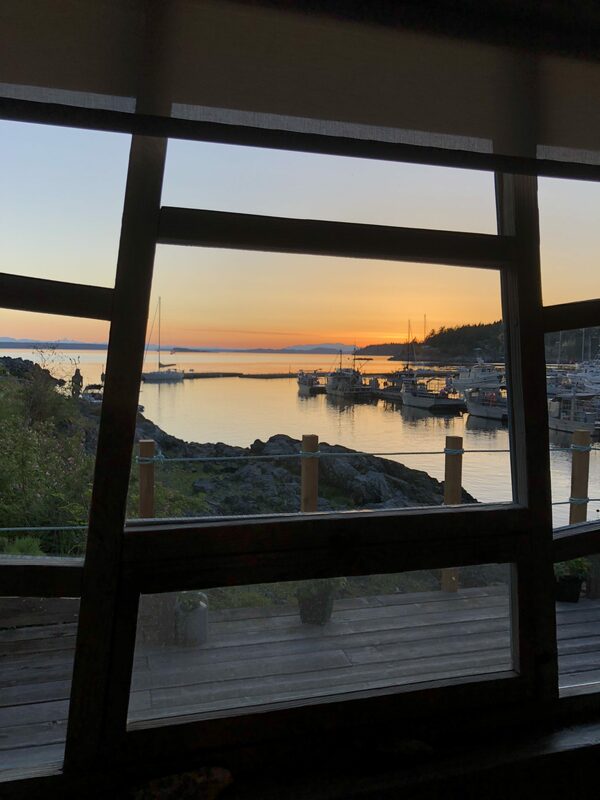 The Lund Harbour House is quite literally at the end of the road – Mile 0 of the longest highway in the world, to be exact – so you know you are in for a quiet and peaceful retreat. Inspired by ship architecture, the interior is decorated in accordance with the nautical theme of the surrounding area. 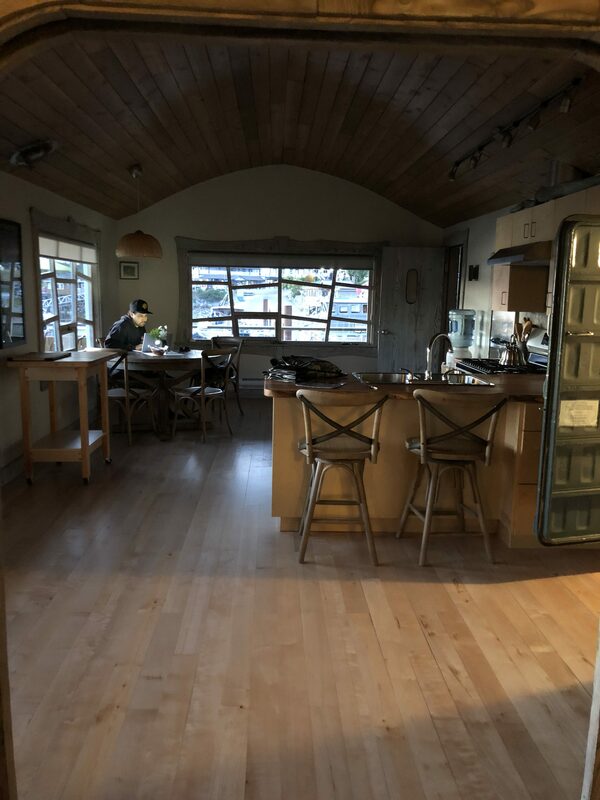 Inside you will find a Galley (kitchen) as well as a Cabin (living room) and Berth (bedroom). And of course, don’t forget the wraparound deck with the best view in the Harbour! You’re sure to find this the ideal spot to drop anchor. 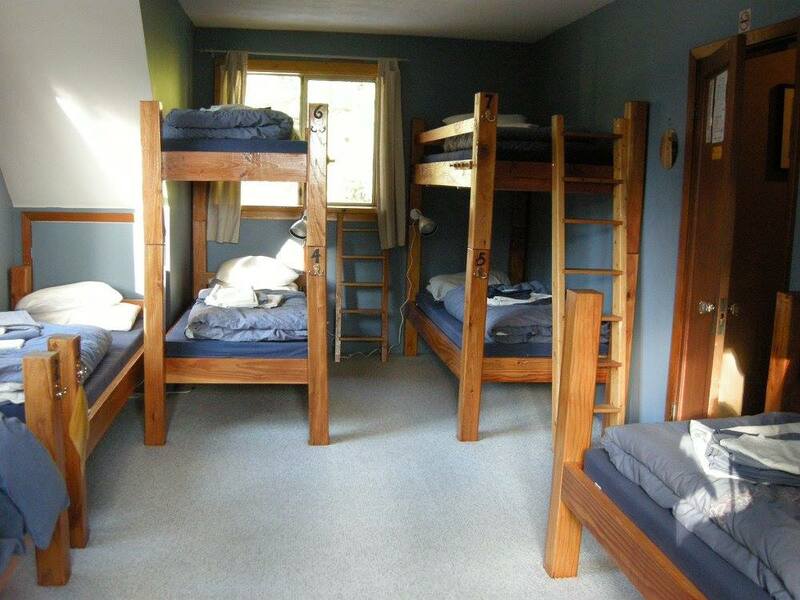 As a student who also loves to travel, I know hostels are always on my radar whenever I begin the planning phase of a trip, so I would be remiss to exclude one of the best the Sunshine Coast has to offer. 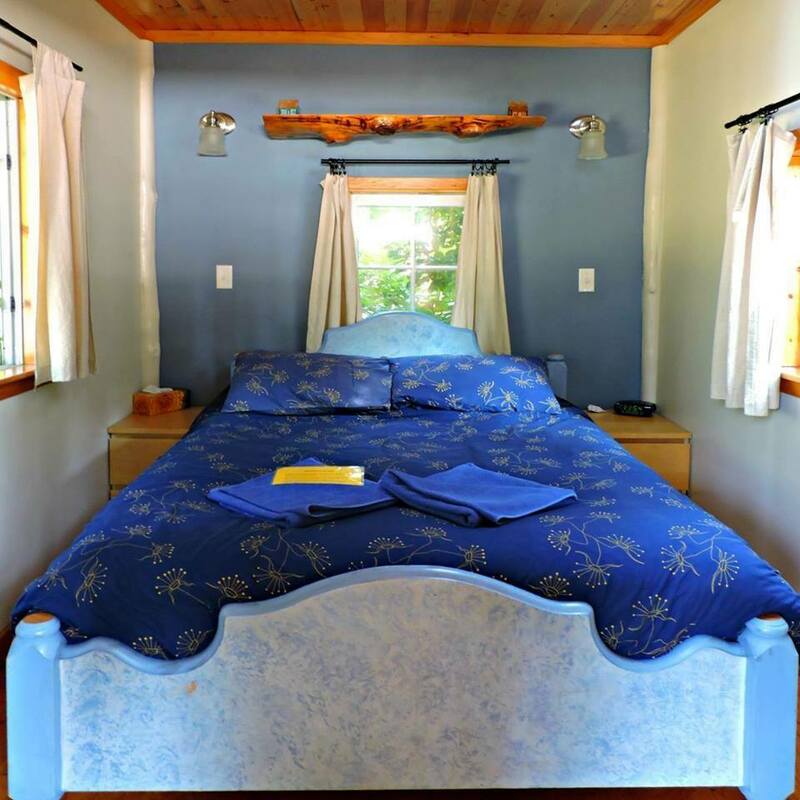 Up The Creek has been hosting happy travellers for years in the heart of one of the most vibrant and tight-knit communities on the Coast, and even offer a “work and stay” program for those looking to extend their stay. Not to mention they are located just a short walk (or ride with one of their loaner bikes) away from one of the tastiest foodie spots in the area – Gumboot Cafe and Restaurant. Whether you are travelling solo and looking for company, or just hoping to meet some new people, you are sure to find home here. 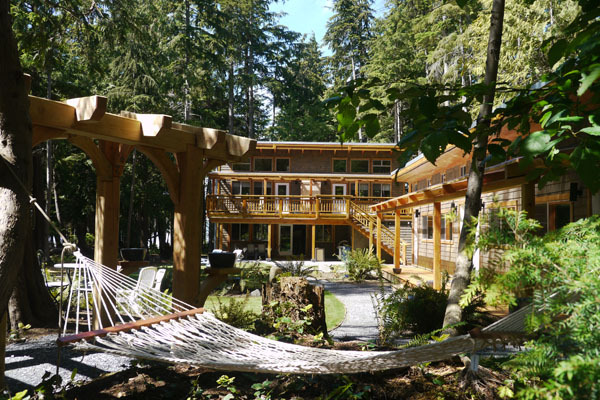 There are many more one-of-a-kind places to stay on the Sunshine Coast. 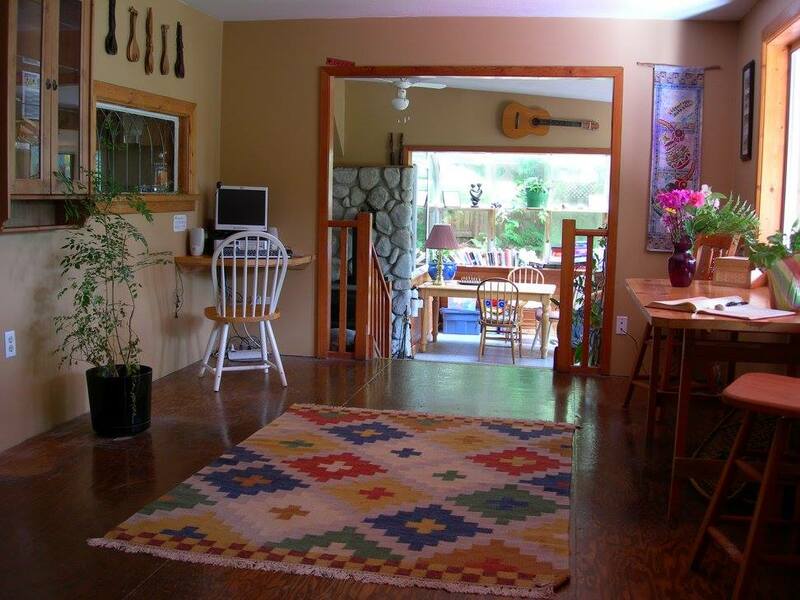 Search more unique accommodations in the region to find your perfect place. Interning at Sunshine Coast Tourism since 2016. You can usually find me on the ocean or eating cake.